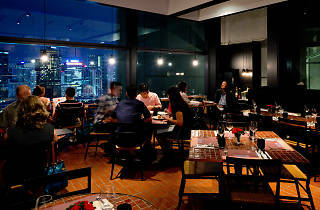 A floor up from Troika Sky Dining's stunning French outlet Cantaloupe is Strato, a semi-casual Italian restaurant. Classic pastas and pizzas are given the royal treatment with ingredients like porcini and Wagyu, and the highlights include lobster linguini in a rich lobster tomato sauce, carbonara sauce pizza with asparagus, Gorgonzola and smoked duck breast, and roast baby octopus with lemon aioli and lobster oil. End with updated Italian desserts like banana and coffee tiramisu or the cinnamon and lemon meringue cake. 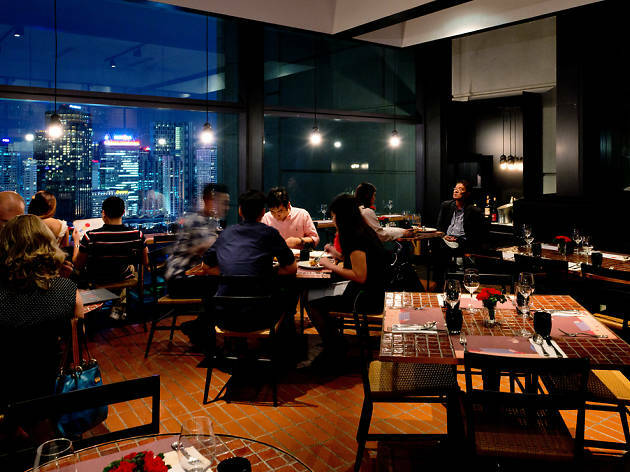 Strato was voted Best Italian in the Time Out KL Food Awards 2014 and was shortlisted in the same category in 2013. Founders Christian Bauer and Eddie Chew were named Food Personalities of the Year in 2013. Our food awards are 100% voted for by the people of KL. This way, we guarantee that popularity and consistent performance are rewarded. Dined at the balcony but gets pretty warm after a while. Food is decent but do not like the idea the use of paper napkin instead of cloth napkin despite type of dining and price. Maybe it's just me. Easily one of the best Italian restaurants in town, from its handmade, authentic pasta to refreshing salads. Reasonably priced.